Before me in muted light is a life-size muddy street with a traffic jam. 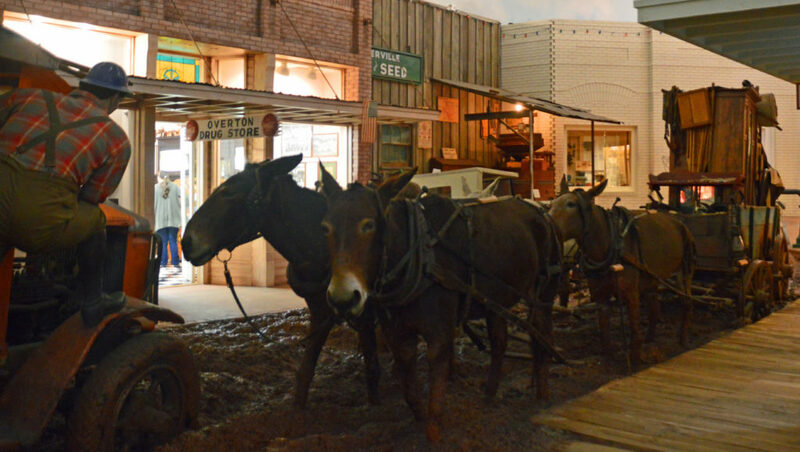 Going one way is a mule-drawn wagon and going the other way are two cars. The street is impassable because of its width and the axle-deep mud. Welcome to East Texas during the oil boom. 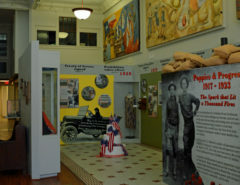 The lobby reminds me of other museums; an old car, antique household items, displays honoring the area’s history; all well done and interesting. 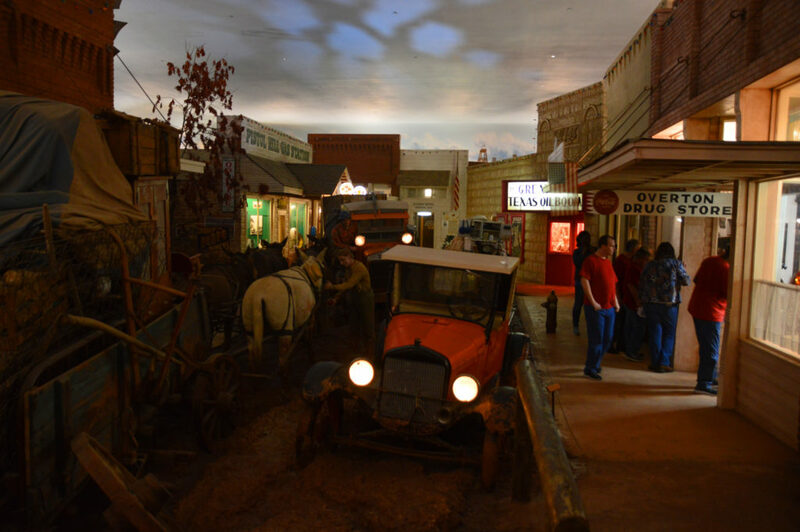 And then I walk into Boomtown USA; this is where the East Texas Oil Museum in Kilgore, Texas, shines and stands out as an exceptional museum. 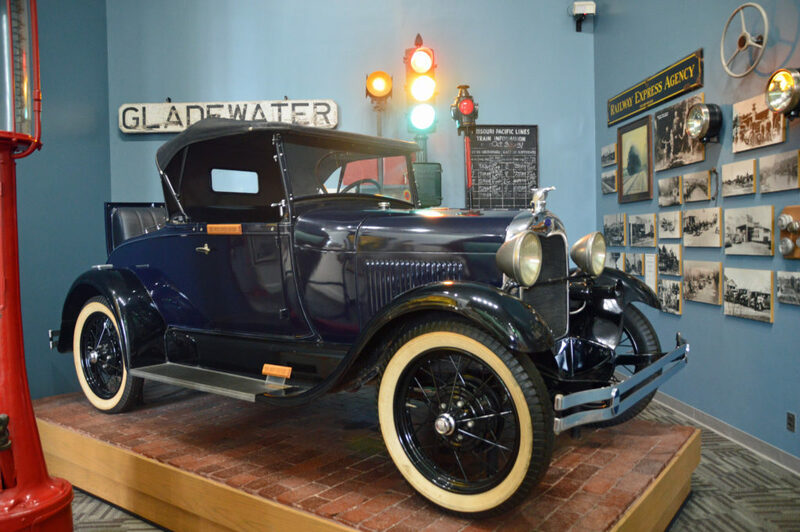 The museum chronicles the area’s transformation from quiet depression-era villages and farmland to bustling cities and oilfields after oil was discovered here. Within two months of the Daisy Bradford No. 3 discovery in Rusk County, the Lou Della Crim well blew in flowing at 22,000 barrels a day. The well turned out to be part of the same massive East Texas Oil Field — an ocean of oil stretching 45 miles long and from 3 to 12 miles wide, a total of more than 140,000 acres. Fortune-seekers and oilmen converged on the area. In less than a month, Kilgore grew to a bustling city of 10,000. Buildings were leveled to make room for drilling rigs. One downtown block in Kilgore was spiked with 44 live oil wells. Eventually, 31,000 wells were drilled. The mayhem of the sudden influx of men and their families seeking work and industrialists seeking fortune was almost more than the small towns could handle. Joining a tour, I enter the first business, the general store, with its shelves lined with 1930s era merchandise. 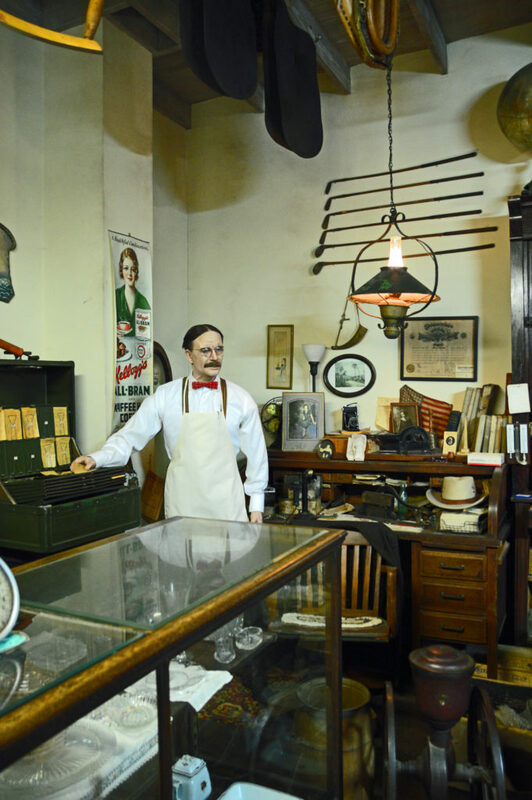 The antiques were all donated by local residents and meticulously displayed to give the appearance of an actual general store. Surrounding the chaos in of Main Street in Boomtown are several businesses with names honoring local communities: Arp General Store, Henderson Post Office, Overton Drug Store, Wright City Machine Shop and many others. 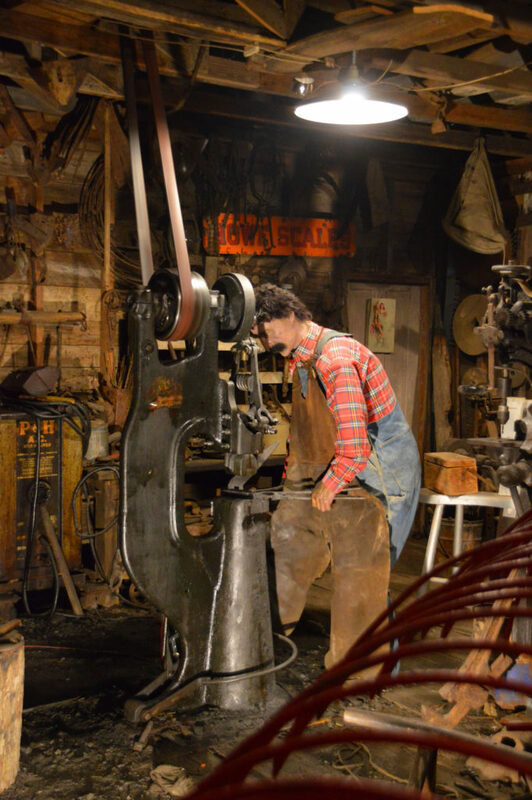 Exhibits offer a three-dimensional look at life in an oil boom town —what a community might look like in the 1930s when news of the oil strike spread across the nation. 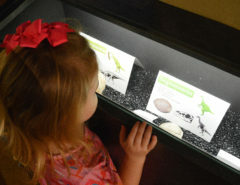 One popular exhibit takes guests down an “elevator” so they can better understand oil production. Boomtown’s theater shows historic footage of the oil boom as well. I am impressed with the knowledgeable docent who goes into detail not only about the oil boom and its consequences on East Texas, but the long term effects the discovery of oil had on the nation. Each stop offers me more of an understanding and interesting information about the area. After the tour I again wander through Boomtown, taking my time to enjoy the excellence of this museum and the story it tells. There are many individual and community stories to tell. Between the excellent displays, Boomtown USA and the guided tour, guests here have a much greater understanding of this time in American history. I love museums that give you a sense of what it was like to live in a past era. Looks as if Boomtown does that pretty well! It’s truly the best walk-in display I’ve ever seen. Right down to the “muddy” road! 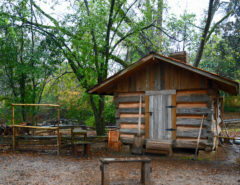 This looks like a perfect excursion for tourists visiting East Texas. This year we are adding Texas to our states of coverage and will certainly have to keep Kilgore in mind for a future visit. We love history museums and this one has some amazing dioramas. 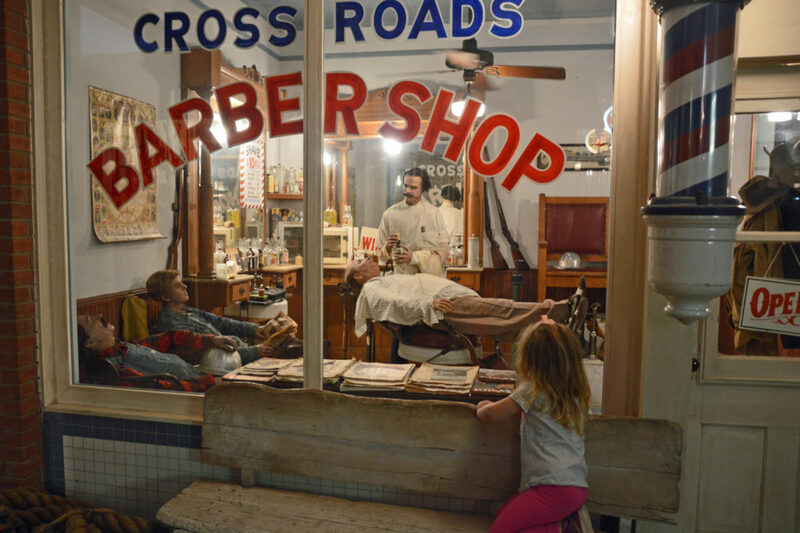 The museum does a really good job at conveying life during the oil boom. If you do stop, the museum is just a little way from I-20. It’s worth the stop!